Wireless Calving Cameras for sale. Discounted Wireless Hawk Farm Lambing Agriculture cameras and Pan Tilt Zoom Calving Cameras for sale on-line. Purchase Agriculture and farm cameras. 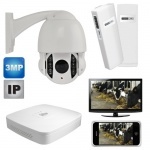 calving cameras & farm cctv system with Sony lens cameras, wired or wireless up to 1500 meters (1.5km / 1 mile). Ideal for cattle sheds, slatted cattle sheds and tin / metal sheds. Can be viewed locally on Tv or add on option available to allow remote viewing on Mobile Phone, Laptop, Pc and Tablet or iPad. Available with up to 8 cameras. Calving cameras - 4 farm calving camera system with Hawk multiplexor / multiplex processor box. 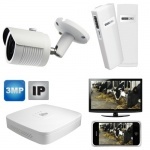 Ideal for monitoring cattle calving or farm yard security & surveillance. Ideal for all cattle sheds and slatted sheds. Also available wireless 200m and 1500m (1.5km / 1 mile). Can be viewed locally on Tv or add on option available to allow remote viewing on Mobile Phone, Laptop, Pc and Tablet or iPad. Available with up to 8 cameras.